That dreaded red light ticket appeared in the mail and you have been confused because of all of the newspaper and television news reports that these tickets are not legally valid. Well don’t be fooled they are. The city of LA decided to get rid of the red light program because of the bad deal they made with the vendor but there are many other cities in the Los Angeles County area for instance are still using the red light camera program and many throughout the state and other states. 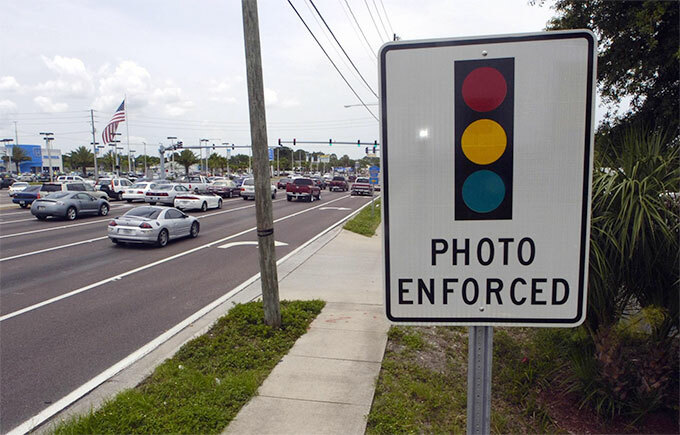 If you get a red light camera ticket in the mail, it’s because the police officer reviewed the videotape and saw that your wheels were behind the crosswalk when the light was already read, no matter where you think they were in your memory. Here in California the fines run close to $500 plus additional fees if you want to take traffic school, Plus the fee for the traffic school online course. People who run red lights happens to be the number one cause of car injury and death in the state of California so it’s a really bad idea to think that a yellow light means “speed up”… And the camera doesn’t make mistakes. Now if you do not pay the ticket for the red light camera the court is not going to come after you like other moving violations but they will ding your credit send you to collections and should you appear in that court on another citation the judge will cite you for failure to pay , Almost triple what the original cost was. The only way out of these tickets is if the face in the photograph is clearly not you because the ticket goes to the registered owner, the registered owner would have to show up in court and say that’s obviously not me and although they would like you to explain who that was behind the wheel they cannot force you to. The best way to avoid red light camera ticket, is being defensive driver as you’re driving down the street anticipate that a yellow like maybe coming up. Yellow light means prepared to stop and under no circumstances do you ever want to run a red light. Just FYI, places that send you tickets for rolling stop signs are not legitimate tickets.